Studying medieval history using a literature approach offers a rich opportunity to mine some fabulous treasures of classic and historic works. The “terms “Middle Ages” and “medieval” were first used by Italian Renaissance historians “as they sought to separate their own rapidly advancing era from what was often referred to as the “Dark Ages.”1 While no one living during the period generally accepted as the Middle Ages (400-1500), considered they were living in a dark age, in contrast to the rapidly advancing, emerging, and awakening world of the Renaissance, the difference was dramatic. This article will present a brief collection of those works that have status in the Western canon, or have achieved noteworthy awards in the world of children’s literature. Just as no study of the ancient cultures would be complete without its greatest epics, the Iliad and the Odyssey, so too the medieval period opens with the first Anglo-Saxon epic–Beowulf. Based upon a Norse myth set in the year 500 AD, the Geat hero Beowulf saves the Danes from the man-eating monster Grendel. 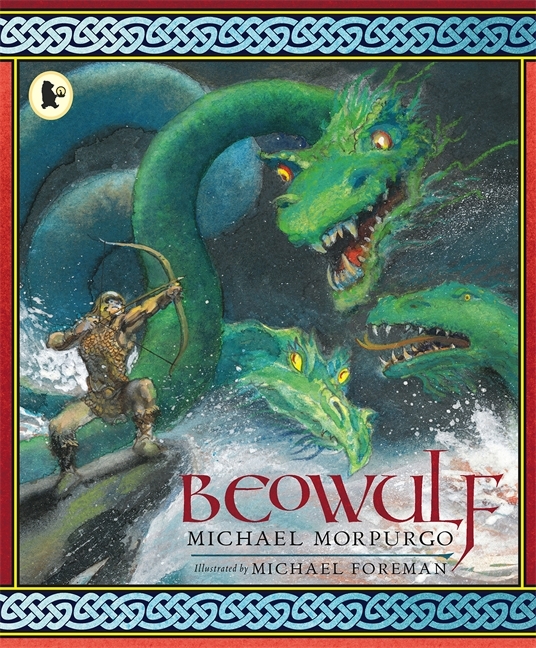 There are many excellent editions for children, but one that can be used across many levels is Michael Morpurgo’s, with its lyrical alliteration and vigorous illustrations by award-winning artist Michael Foreman. For junior high students, Ian Serrallier evokes the sparse beauty of the original in his simple straightforward verse in Beowulf the Warrior. For high school students desiring to do the full epic, Seamus Heaney’s Beowulf includes the original Anglo-Saxon opposite his translation and is notable for winning the UK’s prestigious Whitbread Book Award. 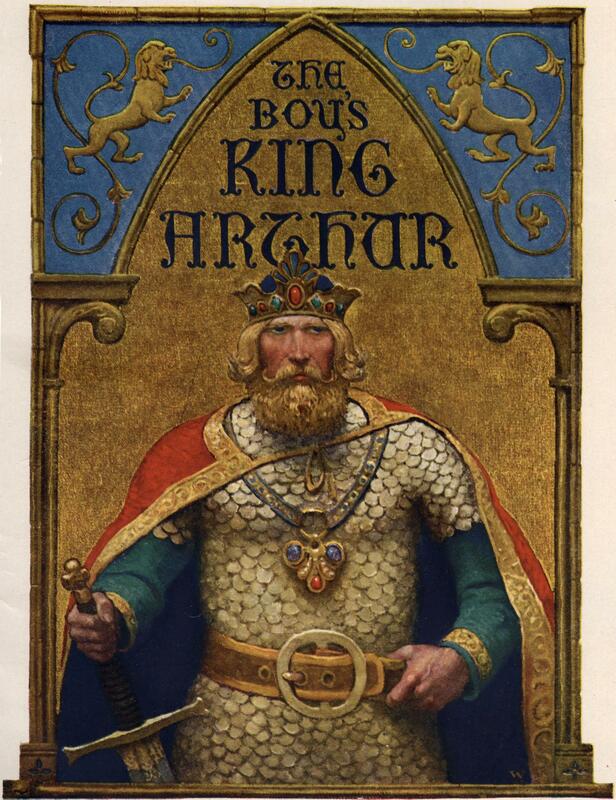 King Arthur and the Knights of the Round Table is based upon the legendary Arthur of the late fifth and early sixth century, who seeks to push back the evil and injustice of corrupt lords and Saxon invaders. Sir Lancelot, Sir Gawain and the Green Knight, the Holy Grail, Merlin, the beautiful Queen Guinevere and the tragic Lady Elaine all continue to capture modern readers. 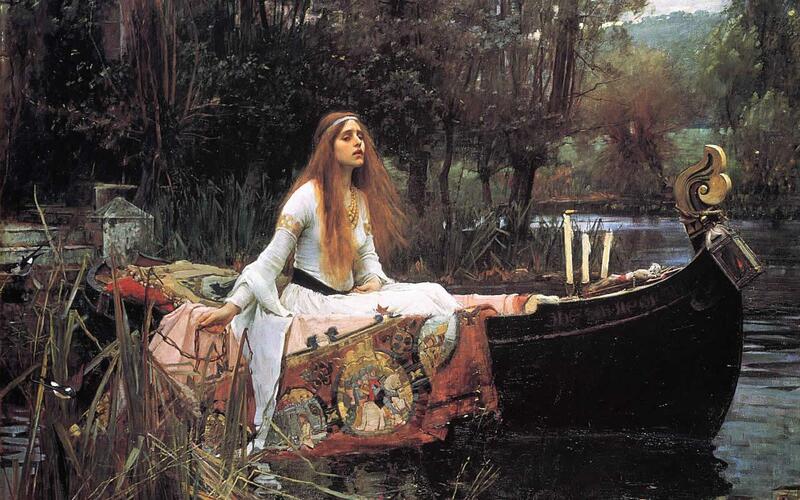 Lady Elaine’s heart-rending story is immortalized in Alfred Lord Tennyson’s 19th century poem, “The Lady of Shalot” and would make a rewarding follow up to the study. A popular edition for middle grade students is by Roger Lancelyn Green­–a classicist himself and student of C.S. Lewis. 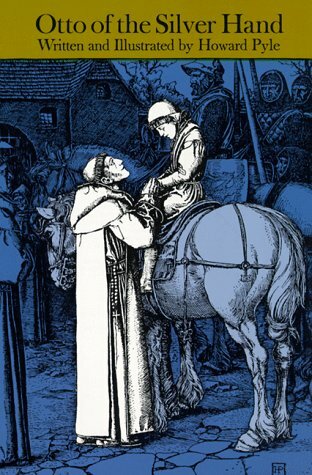 Older students will enjoy Howard Pyle‘s edition of this work, with his beautiful line drawings, or The Boy’s King Arthur; the original Scribner’s edition has incomparable illustrations by N. C. Wyeth. 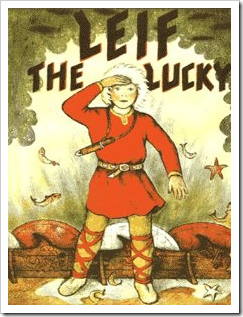 The Viking discovery in North America around the year 1000 is engagingly told in the children’s classic, Leif the Lucky by Ingri and Edgar Parin D’Aulaire. The D’Aulaire’s lavish stone lithographs feature beautiful Norse runes, majestic fjords, and the muscular beauty of Viking life amidst Northern expanses. Leif Erickson’s North American discovery comprises an important component of the movement of Christianity westward as Leif was converted to Christianity in the courts of the Norwegian King Olav Trygvason; he then carried the gospel to Greenland. This well-researched text has been popular since its original publication in 1940. The Adventures of Robin Hood reflects the enmity that existed in England subsequent to the Norman Conquest (1066) and which was still a factor over a hundred years later, when Richard the Lionheart came to the throne. Robert Fitzhooth, Earl of Huntington, is unjustly stripped of his lands and must resort to the life of an outlaw, under the assumed name of Robin Hood. Robin and his merry men of Sherwood Forest resist the corrupt civil and religious leaders, and set things aright by “robbing from the rich and giving to the poor.” Roger Lancelyn Green and Howard Pyle have both written wonderful editions for middle grade students (and up) and Marcia Williams has a lavishly illustrated edition for primary. 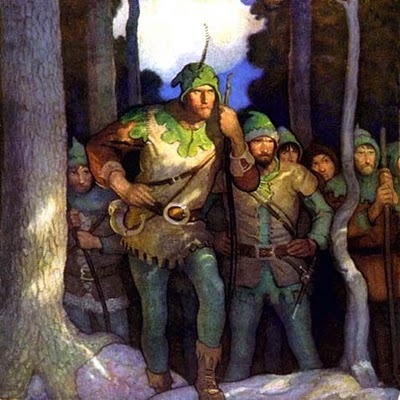 N.C.Wyeth’s illustrations for the Scribner’s edition by Paul Creswick captures the romance and adventure of this enduring story. 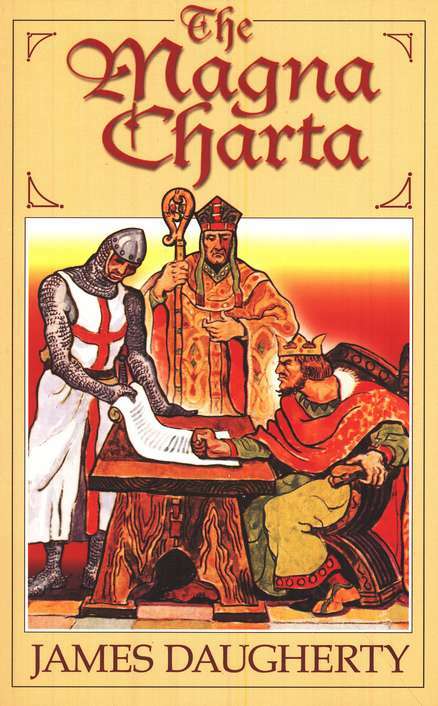 If any historical drama fulfills Ben Franklin’s adage, “Rebellion to tyrants is obedience to God,” it is surely the saga of the Great Charter so beautifully told in James Daugherty’s The Magna Charta. The noble Archbishop Stephen Langton, along with his “Army of God”, present heroes for our day, as these brave men stood up to wicked King John and demanded he restore the ancient laws he had so unabashedly trampled underfoot. 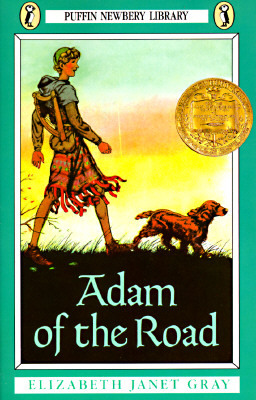 Thirteenth and fourteenth-century English life are the subjects, respectively of Adam of the Road by Elizabeth Janet Gray, which was awarded the Newbery Medal in 1943, and Avi’s Crispin: the Cross of Lead (2003), which won the same distinction sixty years later. 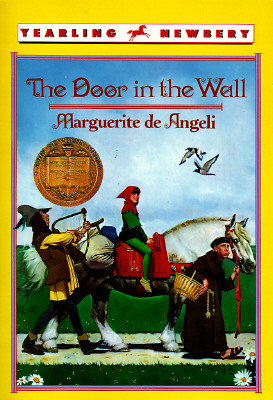 Book-ending over half a century of works devoted to Medieval Europe for young readers, these two works echo surprisingly congruent notions of childhood, morality, faith, courage, civil freedoms, and what constitutes rollicking adventure stories for juvenile readers. Adam Quartermayne, the protagonist of Adam of the Road, is the son of the traveling minstrel, Roger, and together they have some hair-raising and delightful adventures against a colorful swath of medieval life. Crispin and the Cross of Lead, is set just after the Black Death, the plague that wiped out 20 million Europeans between 1347 and 1350. Crispin is orphaned as a result, and in his travels passes through whole villages decimated by the Great Death. A major consequence of the plague was the labor shortage that resulted in the Peasant Revolt of 1381 and contributed to agitation to end the manorial system. Avi incorporates these features into an adventure story, setting the protagonist in the midst of events that furthered the progress of human liberty. Geraldine McCaughrean won the Whitbread Award in 1987 for her depiction of a troupe of fourteenth century Mystery Players in A Little Lower Than the Angels. Young Gabriel plays an angel in a traveling play dramatizing gospel stories for the mostly illiterate peasants. Unlike the lighthearted minstrels in Adam of the Road, these traveling players are often run out of town by irate burghers or masters of guilds and have a hard go earning a meager subsistence, keeping out of jail, and traveling unmolested. Young Gabriel’s struggles and moment of awakening provide a satisfying read for middle and upper grade students. 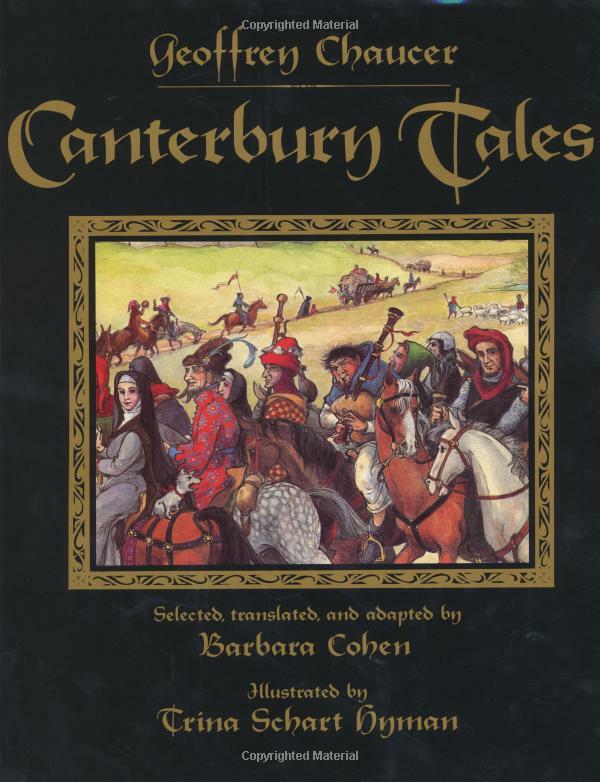 McCaughrean has done an accessible edition of The Canterbury Tales by Geoffrey Chaucer suitable for intermediate students. The importance of Chaucer’s tales and their impact on the progress of civil and religious liberty cannot be overstated. Chaucer’s subtle irony exposes the hypocrisy and corruption of the powerful; his humor sheds light upon common human foibles of pride, vanity, greed, and deceit–helping us see ourselves better. Barbara Cohen’s translation combined with the gloriously authentic drawings of Trina Schart Hyman makes a wonderful introduction for all ages. For primary students, Marcia Williams has abridged and edited the tales and enriched them with her whimsical illustrations. Those who enjoy Trina Schart Hyman’s work will appreciate her Caldecott Medal winner, Saint George and the Dragon by Margaret Hodges. Good Masters! Sweet Ladies! 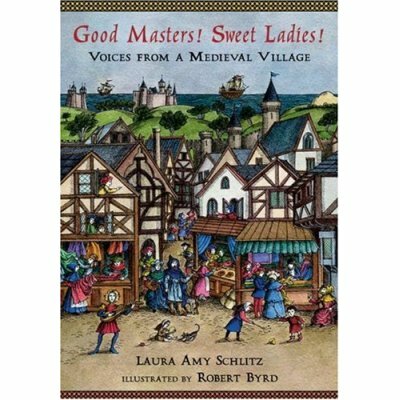 Voices from a Medieval Village by Laura Amy Schlitz won the Newbery Medal for 2008, and deservedly so. Schlitz created monologues students could perform that realistically depict the lives of children from the runaway villein, to the village half-wit, to the Lord’s daughter. This is no sanitized depiction, but one full of the pathos of real human voices speaking across the centuries. The story of the maiden soldier–Joan of Arc, is one of history’s remarkable enigmas, involving as it does, an illiterate peasant girl leading the army of France to victory during the Hundred Year’s War between England and France. Mark Twain’s Joan of Arc is the undisputed classic for high school students. 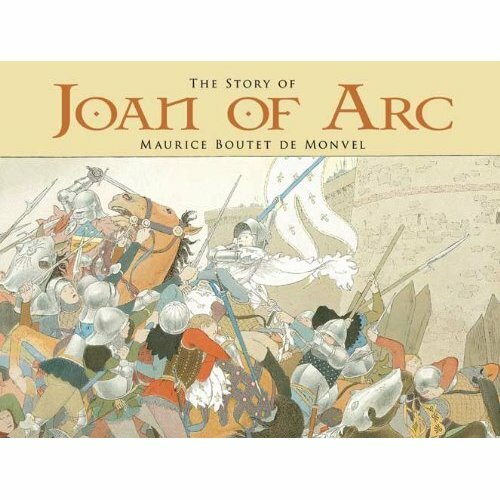 In The Story of Joan of Arc the French artist/author, Maurice Boutet de Monvel, has created a lavish and moving panorama of scenes from a life both tragic and sublime. 1. Hanawalt, Barbara. A., The Middle Ages: An Illustrated History. New York: Oxford University Press, 1998. p.7.